Burlap Kiss me dang it Stuffed Pillow is made with a high quality burlap and lined with cotton muslin. I have lined this pillow so that no white fiberfill shows through your pillow, this gives your pillow a very sturdy feel. This is a cute pillow to ask or should I say insist on a kiss from your loved one! You need this pillow to let your loved one know its Ok to give you a kiss and you want one right now! 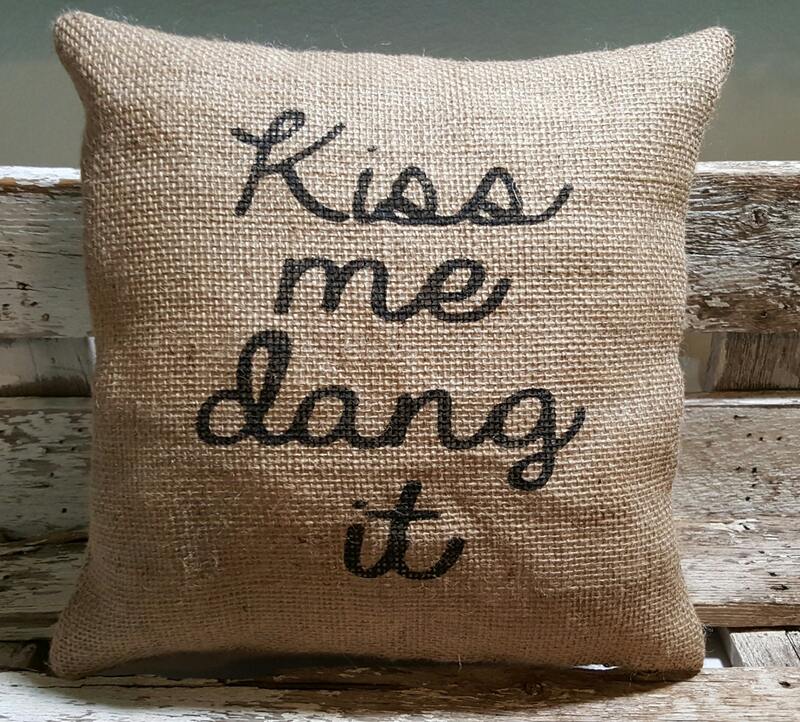 Kiss me dang it letters are painted black on the front of the pillow.